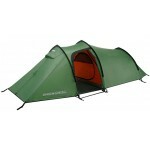 Vango Dart DLX is repeated in 2012 - it offers more space than the standard Vango Dart but still retains that ultra convenient pop-up system. 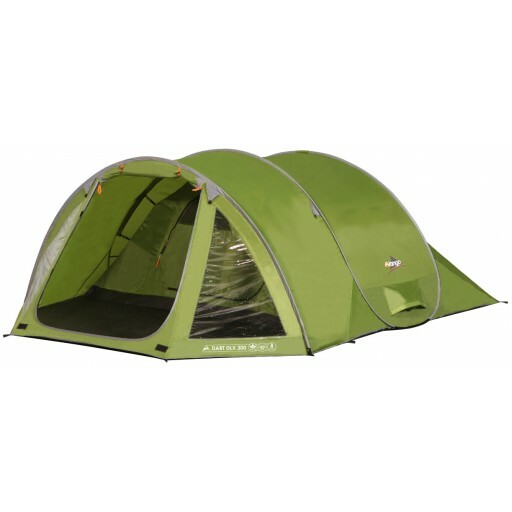 The Dart DLX 300 is ideal for weekend's away and festivals as it features a spacious pre-attached 3-berth inner tent plus a large porch area to sit in and relax (a proper drinking shed) or to use as a storage area for all your essential gear. 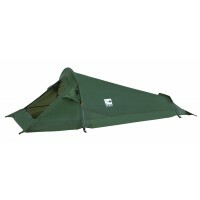 The Dart DLX features a Protex 3000 embossed polyester flysheet (3000mm HH), a breathable 190T polyester inner, and a 10,000mm HH polyethylene groundsheet. Within the flysheet are comfort ventilation panels and 'crystal clear' windows with internal covers for privacy. 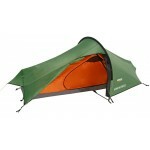 The pre-inserted poles are Powerflex fibreglass poles which maximise both strength and flexibility. 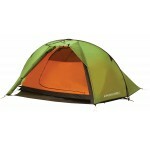 Comes complete with circular carry bag with shoulder straps, orange guylines, pegs, lantern attachment point. 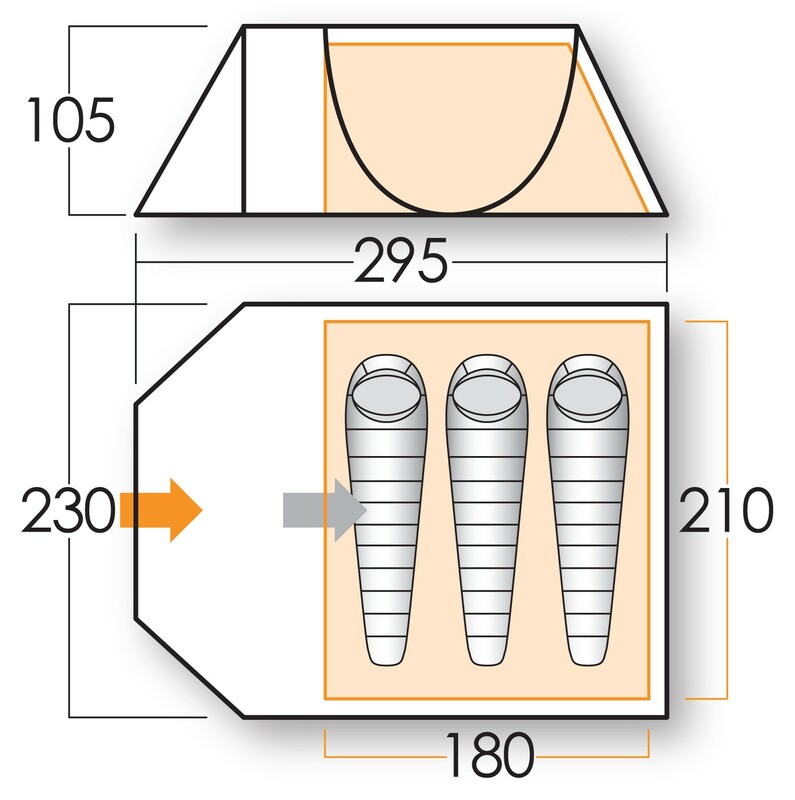 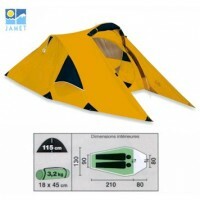 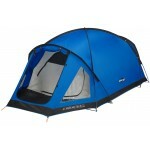 Vango Dart DLX 300 Pop-Up Tent.